It seems to me that people either love goats or hate them. I fall into the first category, although there have been individuals, that I cheerfully could have throttled. 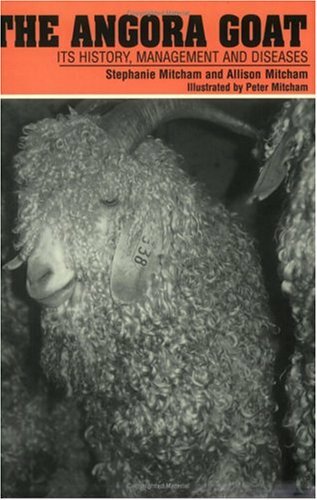 I have kept a few breeds of goats and have learned that they differ widely. 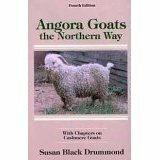 I’ve kept pygmy goats, alpine goats, Nubian goats, angora goats and pygora goats. Goats can escape from fencing that keeps other animals in. They climb on everything including cars, and they are relentless when it comes to pushing their way into the grain. Given the chance, they will head straight for your garden or your ornamental plants for a snack. 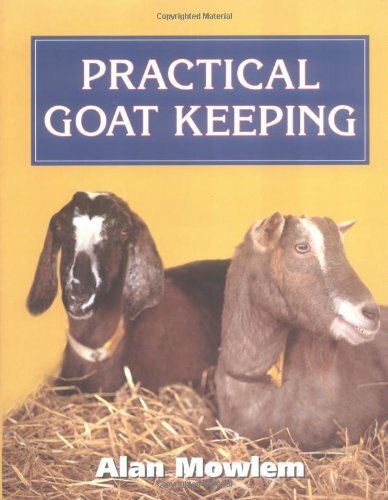 Yet goats can be very useful. They are good at clearing brush, even eating poison ivy. They can serve as a companion to another animal like a horse and they can provide a family with fresh milk and cheese, spinning fiber and even meat if you are up to it. They are quite popular as a pack animal, even more since they don't have to be on a line. At the very least, they can be affectionate and entertaining pets. I started with a small herd of Nubian dairy goats. The temperament of the goats varied widely. Most were sweet and mellow but a few were hyper and difficult. I’ve been told that they are a very vocal breed but since they were the first I had ever had, I had nothing to compare it to. 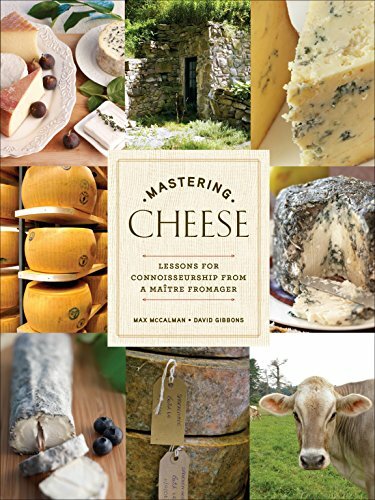 They produced wonderful milk that made superb cheese. There is nothing cuter than a Nubian kid with their long droopy ears. The next dairy breed I had was an alpine doe. She was very sweet goat and little trouble to keep. She produced a gallon a day of milk and I was amazed at how sweet the milk was. Because of tendonitis in my hands, however, I found that I had trouble milking her. The mellowest of my goats were the Angoras. I had at one time, a buck, a doe and a wether (castrated male). The boys were the calmest with the doe being a bit pushier. I even clicker trained the wether. He thought touching a target was the greate st game going. I was going to teach him to drive and pull a cart. 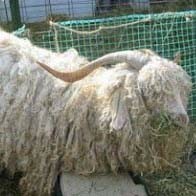 Angora goats have long curly locks that make wonderful mohair yarn that is especially good for rugs. The down side is they must be sheared twice a year. I did not attempt to milk them since they usually had such long fleece. Another thing about these goats is that they are not generally disbudded, meaning they will grow horns. The buck had an impressive spread of horns that he only used to scratch his back. Unlike the dairy breeds, I rarely saw an Angora use their horns for much else, but they still can be a hazard. They can get caught on things like electric fencing or any loose wire or twine lying around. As with any horned animal, care must be taken. The pygmy goats I had were cute, smart and could get out of just about anything. The buck came as an adult with horns and he broke a chain link panel by bashing into it. They may be small, but I don’t recommend leaving horns on these goats. Many goats will nibble on horses’ tails. But my pygmy doe also ate the fleece off of one of my sheep too. They had to stay in their own pen and pasture after that. I also tried milking the pygmy doe but didn’t really get much milk and it didn’t taste as good as milk from the dairy breeds. 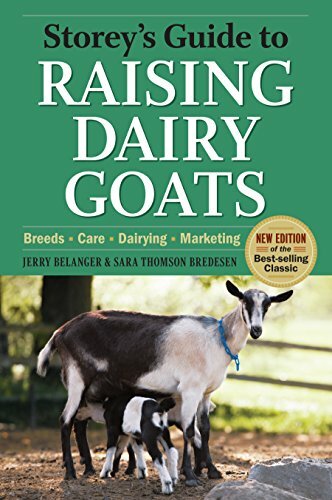 I did learn that milking a small breed goat wasn’t as hard on my hands. 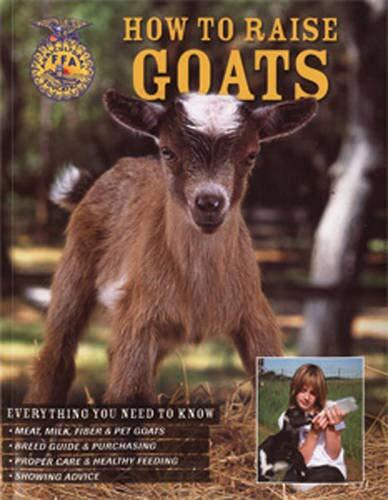 Next chance I get, I’d like to try the Nigerian dwarf goat which is a true dairy breed but small. 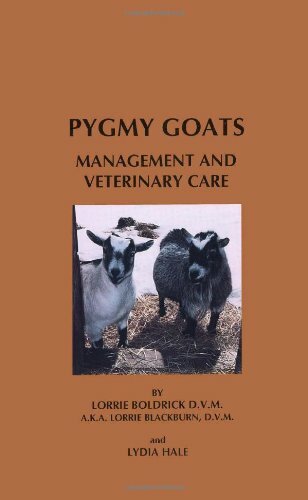 The pygmy goats I got to breed to the Angoras to produce pygora goats. These goats have finer fleece, often producing cashmere. It was fun to see what would come out of a cross between individual goats. The fleece varied widely as did the temperaments. Some were mellow like the angoras, others spunkier like the pygmy. But one thing they all had in common was that they were absolutely adorable. They do need shearing but it is easier to manage with just a pair of sharp scissors. If you’re thinking of getting a goat, it’s worth it to spend some time researching the different breeds. Because of the intelligence and determination of goats, they have special needs when it comes to fencing. The two strand electric fence that keeps contented horses and cows in line means nothing to a goat. One type of fencing that works well is cattle panels. They are heavy gauge welded fencing about 5 ft high and 16 feet long. They are ideal for smaller paddock areas but may become too expensive for pasture areas unless you have the resources. And goats with horns sometimes get caught in them. If the goats are hornless, feeders and water buckets can be left outside the fence but within the goats’ reach. The openings act as a temporary stanchion so that the buckets don’t get knocked over or trampled. In pastures, I’ve used the cheaper wire rolled field fencing with usually 2 electric strands on the inside. The wire fencing won’t do it by itself. The goats will stand on the wire, crushing it down so they can just step over it. The electric strands will discourage climbing or rubbing on the fencing. Keeping goats does require some thought and planning. 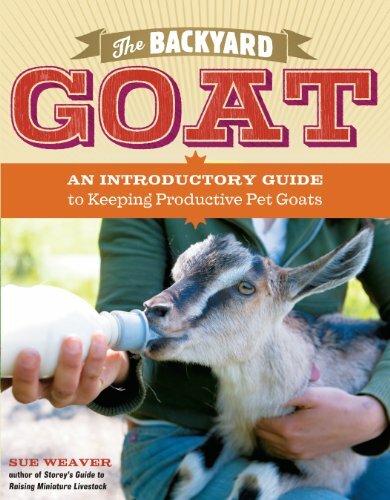 Most people who have had bad experiences keeping goats were not prepared and didn’t have the right set up for them. I’ve been guilty of this myself, but then I knew what I was getting into. Goats are intelligent animals and do need something to keep them busy rather than trying to open the gate lock or the door to the grain bin. Kids especially like to climb and play and watching them is part of the joy of keeping goats. Some suggestions for climbing toys are stacked tree stumps, stacked pallets, homemade tables for them to rest on, homemade balance beams, a rock pile, or a a small a-frame that can also serve as a shelter. Other toys are coffee cans with holes in them with a little grain inside. As the goat bumps the can around, a little grain will fall out, keeping them interested. 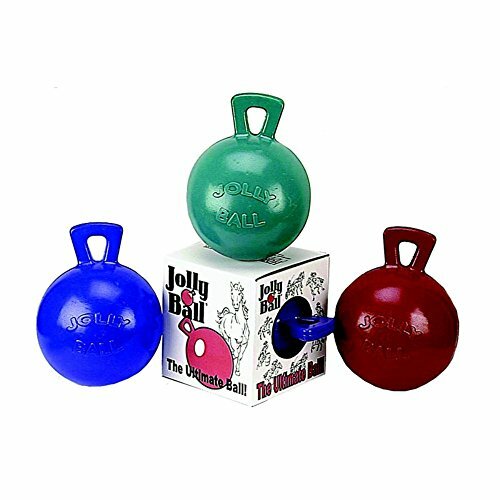 Balls for dogs or horses sometimes will get a goat playing. 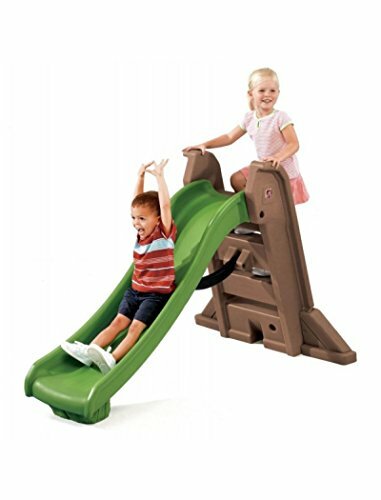 Childrens' outdoor slides also can amuse goats and kids. Just be sure any climbing toy is solidly secured. Goats can be rough as they get bigger and stronger. Yes, pygmy goats can be a handful. Nubians are such pretty goats.And good milkers too. We've had a couple of pygmy goats and they were so sweet. One of them loved to ride in the wheelbarrow! They played king-of-the-hill on the jungle gym and gave us many moments of laughter. They were also destructive - came through the screen of our swimming pool! So we gave them to a goat farmer. I think the lovely Nubians are my favorite. Yes, most of the time they're fun....lol. That's the truth. O and another thing. If you have to be somewhere, don't fall into the trap of standing there and watching your goats or sheep like I would. Especially if they have kids or lambs. I was always running late in the spring because I'd lose track of time. And smart. That's why they get into trouble. Such pretty animals. We had some goats for a while that ran around with our sheep. Very curious creatures. thanks frugalrvers. I do miss my goats. But it'll have to wait until I can get a patch of land. 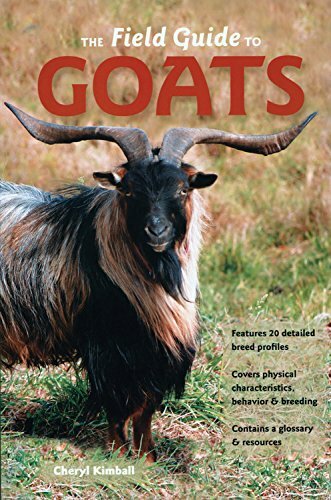 Goats are something I know nothing about, and it was so nice to get an immediate education on them in such an easy-to-read way...great first Wizzley!